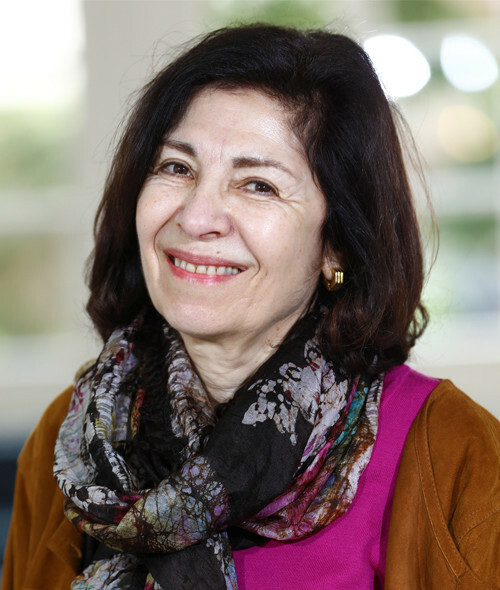 Professor Jala Makhzoumi is an affiliate faculty member of American University of Beirut. She is a founding member and senior fellow in the Cambridge Center for Landscape and People. Jala Makhzoumi is an Iraqi architect and academic who specializes in landscape design, she taught architecture and landscape at the University of Technology in Baghdad for 15 years. In 2013, Professor Makhzoumi established UNIT44 with A Jabr, a Lebanon based design and planning practice offering a wide range of services in architecture, landscape architecture, ecological planning and urban design. In her work, she advocates for an expansive, developmental landscape approach to mediate community needs with ecosystem health, biodiversity protection, and landscape heritage conservation. Jala studied architecture at the University of Baghdad before completing her Master’s degree in Environmental Design at Yale University. She holds PhD in landscape architecture from Sheffield University.